Bacon Bits = Regular 2.29. Not on sale. No coupons. 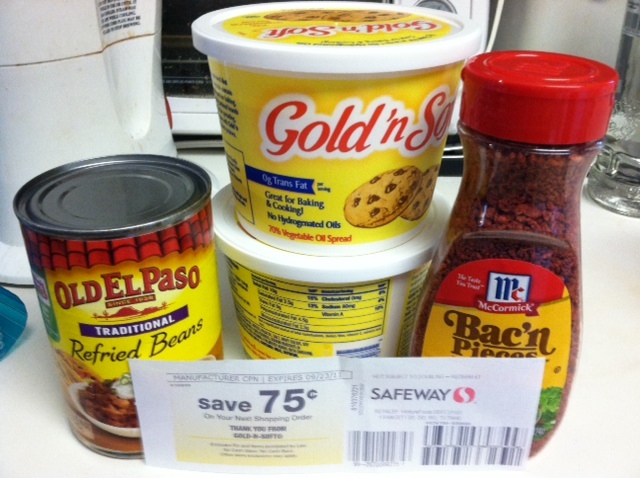 - $.75 from my last butter purchase = I paid less than I would have just buying the bacon bits. Win. fun fact: bacon bits are vegan. do you still like them? not if you get the real bacon ones… i specifically got the vegan ones, then mixed them with mayo.